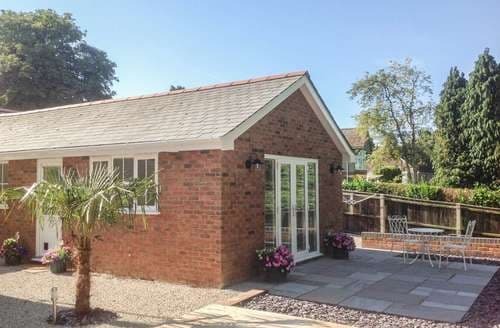 What our customers are saying about our Holiday Cottages In Verwood To Rent. "We didn't know quite what to expect, but were very pleasantly surprised with the lodge itself. It had all we needed and more, including a record player! haven't used one of them in years! The lodge is one open living area, but with the bedroom part effectively separated from the kitchen/lounge by the bathroom. The bed was really comfortable, the kitchen had all we needed and the lounge had a tv with sky+ (and of course the record player). Quite a lot of the walls were covered with raw wood panels, looked really effective and a rather quirky wooden chair in the bedroom. There is a small private piece of "garden" off to the side of the lodge (to the side of the summer house), with patio table and chairs, and a lay-z-spa hot tub for your use (small extra cost). The lodge is sited between stables and the owners thatched house, the end of which is let out as Longhouse cottage. The lodge overlooks a paddock used by the six Alpacas, although they seemed to spend most of their time in another field beyond the house, they did come up at feeding time (opposite the lodge). The whole site is down the end of a rough road/track so is very secluded and peaceful. The owners were a really nice couple and very friendly. The location is good for access to East Dorset, Poole and Bournemouth, as well as the New Forest, just about 5 miles to the main A31. Roads can be quite busy at peak times of day, so I'd recommend planning that in. There are some nice quiet roads away from the main ones if you like to take the "scenic" routes. We ate out a few times locally; Drusillas Inn, Horton was OK. We ate twice at The Old Inn, Holt, first time (Steak night - Monday) was good, second time, while the food was good service was sloooooow. In short the lodge is a really nice quirky relaxing place. On our list to re-visit another time, thoroughly recommend." 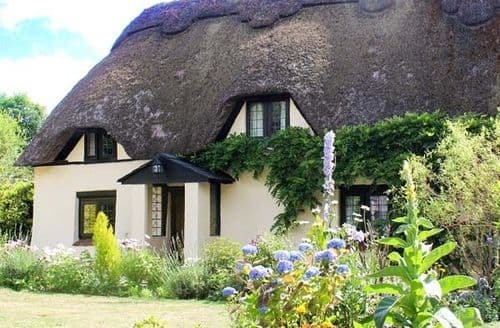 "We loved this cottage and even though the weather was wet outside (Oct 2012), we still put on our boots and walked to see the horses, cows and tractors. The cottage has some damp patches on the walls but is so warm that our initial fears of there being a problem were quickly eased. The owner (who lives opposite) is friendly and helpful and we found many things to do locally - the best thing we visited was the Heavy Horse Farm - which surprised us as we are not horsey people! It was fun and very friendly and lots for the children (age 2,6 and 8) to do. Also the Moore Valley Park is a must - brilliant walks and activities to do on the walks. The cottage is so quiet (long drive down very unmade track) and the only noise we could hear at night was an owl or two hooting!" "Peter and Cath are the owners and had only taken over the longhouse recently and they excelled in making my partner and l stay exceptional. A bottle of bubbly was waiting in our lodge on arrival. All facilities for one week was in place and the lodge was close to their own property. They were at the end of the phone or at home if we needed something. The actual lodge was within the owners own grounds and the environment was quite and an idealic location. I would highly recommend this wonderful lodge as everything is catered for. 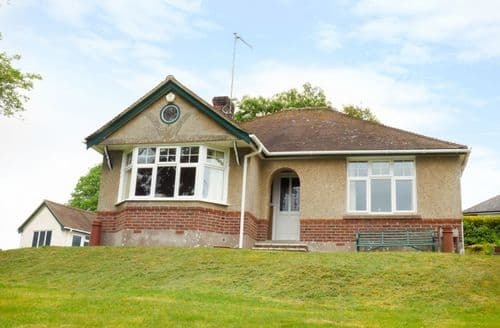 On the plus side is you are close to tourest location and the beautiful Dorse countryside. My partner and l will return because l know Peter and Cath are the perfect hosts who also laugh at my lame dad humour." "This was the perfect place over Xmas - I cooked Xmas dinner for 8 people with ease - there were plentiful supplies of kitchen utensils, equipment and crockery as well as books and games for entertainment. There was even a Xmas tree with lights and decorations!!! Note well that towels are NOT provided (I missed this in the description of the property) and the shower is more aptly a dribble - having said that the bath was lovely and there was plenty of hot water. The beds were really comfortable and the feather duvets to die for. Owners next door in farmhouse were very obliging. 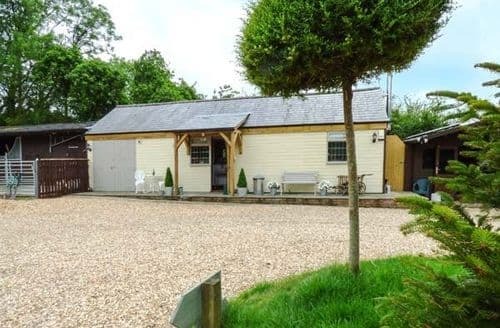 I would definitely recommend this cottage." "A bottle of bubbly was waiting in our lodge on arrival. All facilities for one week was in place and the lodge was close to their own property. They were at the end of the phone or at home if we needed something. The actual lodge was within the owners own grounds and the environment was quite and an idealic location. I would highly recommend this wonderful lodge as everything is catered for. 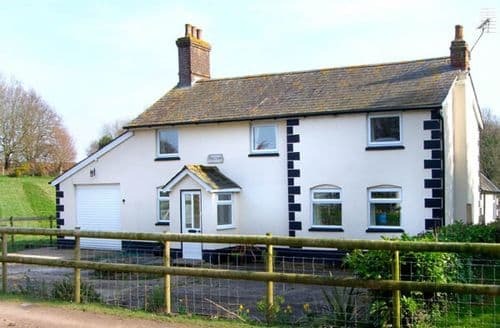 On the plus side is you are close to tourest location and the beautiful Dorse countryside. My partner and l will return because l know Peter and Cath are the perfect hosts who also laugh at my lame dad humour."